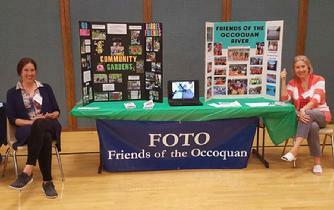 Friends of the Occoquan is a non-profit organization of local citizens who preserve and maintain the natural integrity of the Occoquan River and other Virginia and nation wide watersheds by promoting community awareness through public and private partnerships. To energize individuals, community and business groups to take on the challenges of keeping Virginia’s and the nations reservoirs and rivers clean, by controlling excessive sedimentation and pollution. This message will be brought to schools, civic groups and community organizations, as well as local and federal government agencies. Coordinate watershed management efforts and programs. Open communications and develop cooperation among intergovernmental jurisdictions regarding the rivers and watersheds. Provide decision makers, policy makers, and citizens with accurate information. Develop public and private partnerships focused on maintaining the natural integrity of drinking water sources. Engage the community, including the Spanish speaking population, to become stakeholders of our rivers and streams. FOTO is working with community groups, schools, federal, state and local governments to promote watershed preservation. FOTO continues to expand contacts with other groups to enlarge watershed stakeholders. Installation of international signs along the watersheds is one of our projects. FOTO is proceeding to engage the Spanish speaking community to become stakeholders of our watersheds and become active in maintaining clean and safe our rivers. In addition to the bilingual signs described below, we will be installing other bilingual signs in DC, Fairfax and Prince William Counties. Also we are preparing videos, literature and some TV programs. Early morning rain did not deter 229 devoted volunteers to help with FOTO’s spring cleanup of the Occoquan River & Reservoir at the Bull Run, Fountainhead, Occoquan Regional, Lake Ridge Parks/Marinas and the Town of Occoquan. Families with their children, Students from Lake Ridge Middle, Marsteller Middle, Woodbridge Senior High and Osborn High schools, Boy Scout Troops 1352 and Pack 295, Girl Scout Troop 2016 and Woodbridge High’s JR ROTC cadets, NOVA GO with kayaks, Bull Run Rotary, Optimist and Ambassador Clubs, SEV1Tech company with 31 employees, Young Professionals and Sea Scout Ship 7916, Mike Nardolilli, Executive Director of ICPRB and Chairman of NOVA Parks combed the shores and went out by boat to retrieve trash that had accumulated over the winter months. Harry Wiggins and Glenn Richman of Lake Ridge helped out by bringing truckloads of filled plastic bags from the shorelines to the Marina. FOTO continued transition from plastic bags to biodegradables. A big “thank you” goes to all the park managers and their staff, Mike Tiller, Lake Ridge Park Manager and Lance Elzie, Manager of Bull Run & Fountainhead Park, and Mark Mermelstein of the Occoquan Regional Park for their help and disposing of the trash. Also much appreciated are FOTO members who manned the signup stations, Linda Murray, Kimm Barry, Sonia Monson, Alex & Jacqueline Vanegas, Renate Vanegas, Alex Smith and the Town of Occoquan’s Julie Little. Among the 132 bags of trash & recyclables, were also 2 large oil barrels, trash cans, paint cans, a steel locker, a mattress, Styrofoam pieces, a fence and animal trap. Since the Occoquan Reservoir is the source of Northern Virginia’s drinking water, FOTO is grateful for all the volunteers who spent their weekend relieving the Occoquan of 2 tons of trash. Water conservation/rain barrel workshop at Lake Ridge Middle School. With the help of enthusiastic science students from Elizabeth Good and Matthew Bandi's science class at Lake Ridge Middle School in Woodbridge, VA, FOTO members Sonia Monson and Renate Vanegas conducted a rain barrel workshop and assembled a functional 55 gallon rain barrel for their school garden. Yesterday on my evening walk I ran into this trash warrior picking up trash alongside a residential road with her mom. Her name is Senna and she is a Daisy member working on one of her environmental badges. 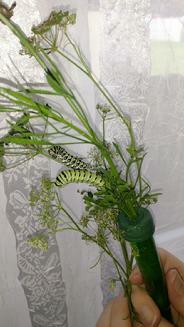 What a great eco friendly activity for parents and their children. Thanks for your hard work Senna and Mom! 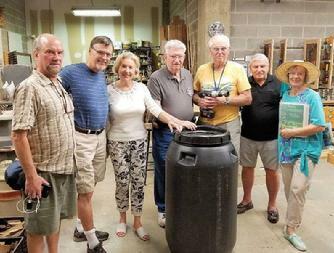 Upon an invitation by Dr. Larry Heath, landscaping committee chair of the Westminster Lake Ridge Retirement Community, the Friends of the Occoquan gifted them with two rain barrels to complete their planned Rain and Pollinator garden project. 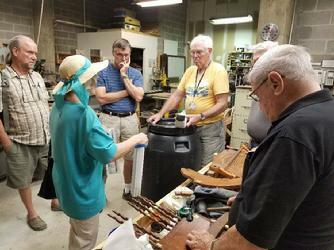 FOTO members conducted a workshop which was well received by all who were present at their fantastic community workshop, where the barrels will be assembled and painted/decorated by residence artists. Creativity at work at the Westminster Lake Ridge Retirement Community. 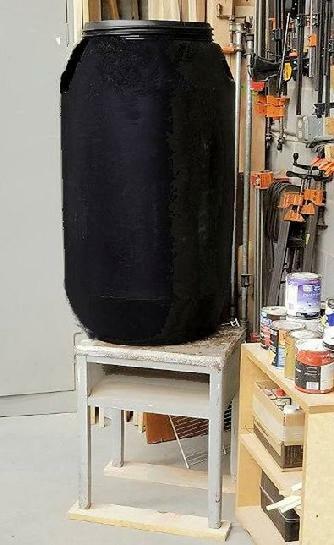 FOTO donated two black rain barrels to their on-site wood shop and resident artists turned them into colorful, yet functional pieces of art. 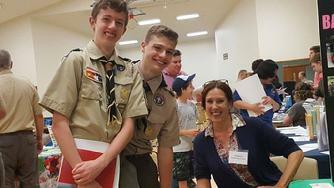 Upon invitation, the Friends of the Occoquan introduced their multiple programs to help clean up local waterways and encourage community gardens at the Boy Scouts of America Occoquan District Program launch that was well attended. Friends of the Occoquan Fall River Clean Up 2017 from Elizabeth Lockard on Vimeo. Friends of the Occoquan would like to thank the Krieg Family from Norfolk, Virginia for opening their home and garden to us. 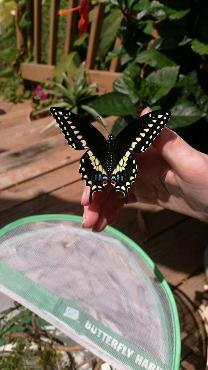 A big thank you to Isabelle Krieg for teaching FOTO all about raising Swallowtail butterflies. 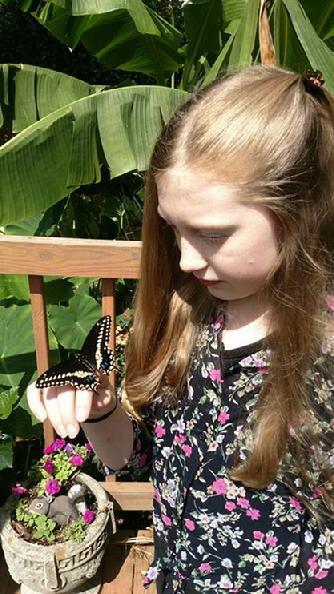 So much to learn from our Eco Kids! FOTO is a 501(c)3 non-profit organization, become a member and help us to carry out our environmental work.